FORT WORTH, Texas (AP) Jordan Spieth has always considered Colonial a hometown tournament as well. He also has had much more success at Hogan’s Alley than at the Byron Nelson, where he played his first PGA Tour event as a 16-year-old high school junior. Now 24 and with three majors among his 11 PGA Tour wins, Spieth has won only once in his home state of Texas. That was two years ago at Colonial, where he has four top-10 finishes in five starts. He was the runner-up in 2015 and last year. Webb Simpson, a top-five finisher in the last two Colonials, was off last week after winning The Players Championship earlier this month. He was the 54-hole leader at Colonial last year. Simpson skipped the Colonial five years in a row after missing the cut in his first two appearances (2009, 2010), using the PGA Tour’s Texas two-step for a two-week break. Kevin Kisner is the defending champion at Colonial, the longest-running PGA Tour event still played at its original site – since 1946. Aaron Wise, the 21-year-old Tour rookie who won the Nelson last week, is in his first Colonial. Local companies are backing the event known this year as the Fort Worth Invitational . Upscale grocer Dean and Deluca withdrew as title sponsor only two tournaments into a six-year deal. Financial services provider Charles Schwab & Co. becomes the title sponsor next year, an agreement through 2022. The highest-ranked of the 121 players in the Colonial field is Spieth, at No. 3 in the World Golf Ranking. Fourth-ranked Jon Rahm tied Spieth for second in his first Colonial last year. Spieth has played the Nelson eight times, the most he has played any tournament without a top 10 finish – his best was 16th in that 2010 debut as an amateur. He tied for 21st last week in the first Nelson at the new Trinity Forest links-style course. 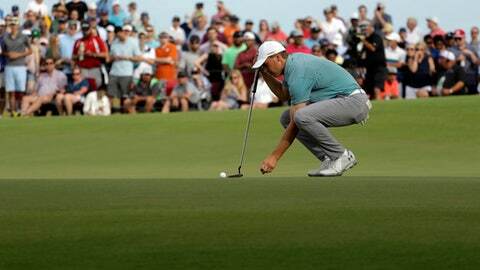 In his three-stroke Colonial win two years ago, Spieth’s punctuating 34-foot putt was his sixth birdie in the last nine holes. He also had a chip-in from behind the 17th green after getting relief because his approach shot landed against a temporary grandstand. That came after his tee shot had ricocheted off a marshal to keep the ball from going in much heavier rough. Exactly where he hopes to be again this week.